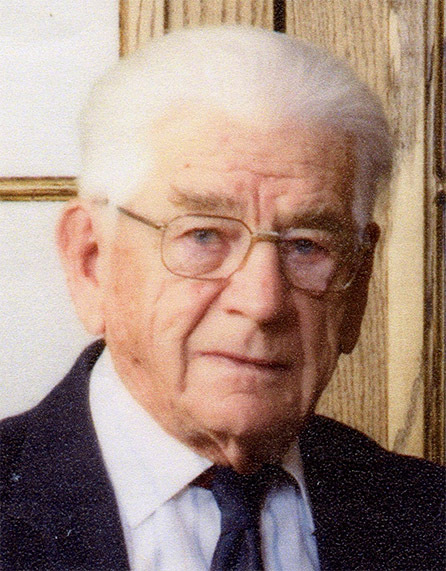 Andrew Heinrichs, age 96 of Altona, Manitoba passed away on Friday, October 26, 2018 at the Altona Memorial Health Centre. He is survived by his children Ruth Penner, Andy (Verna) Heinrichs, Melvin (Bernice) Heinrichs, Janice Rock, Alfrieda (Marvin) Heinrichs, and Wendall (Carol) Heinrichs, as well as 21 grandchildren, 27 great grandchildren. He was predeceased by his wife Gertrude Heinrichs (nee Stoesz), and son-in-law Henry Penner. Memorial service will be held on Thursday, November 1, 2018 at 2:00 p.m. at the Altona E.M.M. Church with burial prior to the service at 12:15 p.m. at the Bergfeld Cemetery. Viewing will be at Wiebe Funeral Home Altona on Wednesday, October 31 from 9:00 a.m. to 9:00 p.m. and Thursday, November 1 from 10:30 a.m. to 12:00 noon.